This Guide provides an ambitious state-of-the-art survey of the fundamental themes, problems, arguments and theories constituting the philosophy of computing. 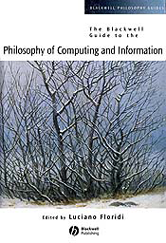 A complete guide to the philosophy of computing and information. Comprises newly-written chapters by leading international experts. Provides a complete, critical introduction to the field. Each chapter combines careful scholarship with an engaging writing style.